A boy's imaginary friend is driving him crazy in Dodger and Me, the first installment of a hilarious new series by acclaimed author Jordan Sonnenblick. 3. Proposing a plan to help you improve your life? 4. Did we say imaginary? Now you have an idea of what Willie Ryan's life is like when he meets Dodger. It's the beginning of a lot of trouble—and a friendship you'll never forget! 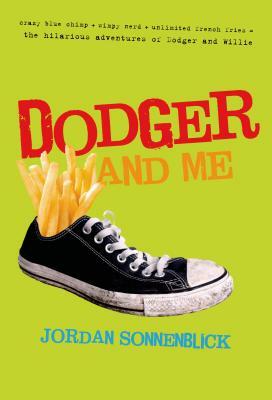 JORDAN SONNENBLICK is the author of Dodger and Me (Book 1) and Dodger for President (Book 2), both available in paperback from Square Fish. He is also the author of several acclaimed teen novels, including Drums, Girls, and Dangerous Pie. He lives with his family in Bethlehem, Pennsylvania.